Cover and blend on high speed about 1 minute or until smooth and creamy. Don't have the fresh raspberries? Use frozen raspberries that are slightly thawed instead. 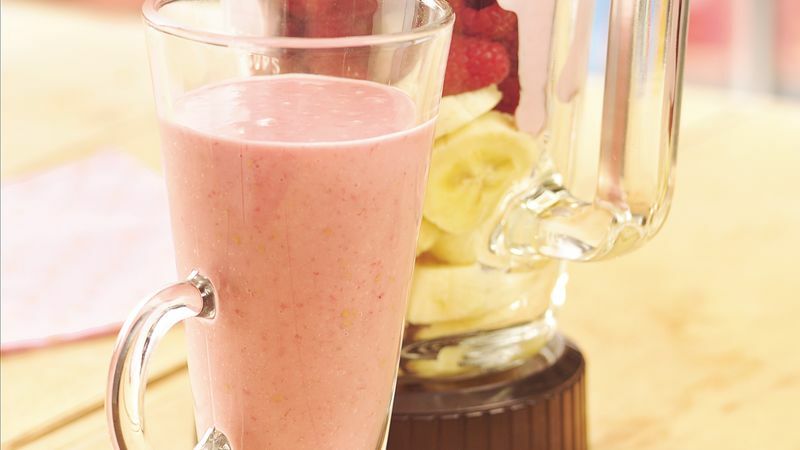 Float a few fresh raspberries on top of each smoothie.